By then Lucy – British born, but educated in both Ghana and the UK – had a first-class degree in engineering and had lived in Portugal and Germany. She’d learned French and Portuguese and worked for a global corporation, Ford. Once she’d found out more about INSEAD, she knew it was a match made in heaven. She didn’t apply anywhere else. Nor did she consider marrying anyone else. All the same, things didn’t quite go to plan. “I discovered I was pregnant,” she says. The programme was due to start in January 2004 – and her son was due in March. One weekend in October the couple decided to fly from London to Paris and to Fontainebleau and take advice from current students. Was it really feasible to combine doing an MBA with having a baby? Once the confusion was cleared up, the reaction quickly changed to: are you crazy? It wasn’t until August that she returned to Fontainebleau, this time with a five-month-old baby and her mother in tow. Yet Lucy still didn’t quite realise what she was letting herself in for. Coping with a small son was easy compared to rediscovering the world from a completely new perspective. She was viewing her future through a new lens… and her sights were now firmly set on Africa. In fact, it took her a further three years of networking with INSEAD alumni in Africa to better understand business operations on the continent before she found her opening. She bided her time with RBS in London until the right opportunity came along: pan-African business development, based in Ghana, for a global telecoms company, Millicom. This time, Lucy set off her adventure with two small children. “Flying around the continent, doing strategy, new licenses, market entry, gave me an incredibly broad view of how business works in Africa,” she says. 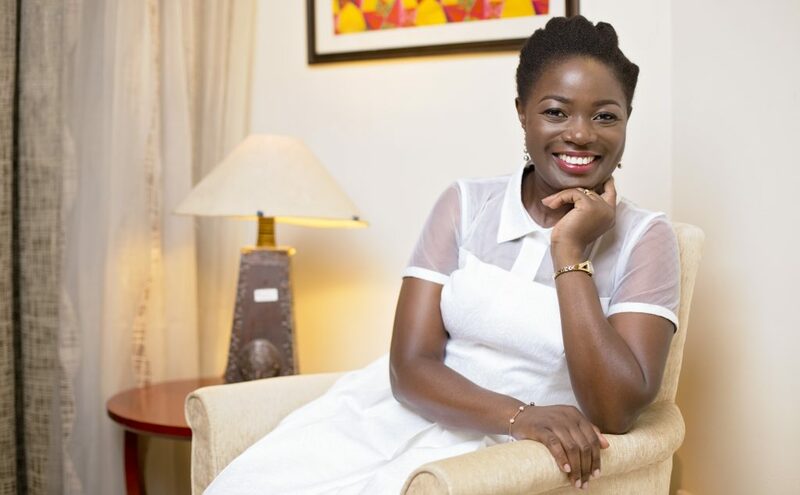 But to achieve her ambition of becoming a CEO, Lucy needed in-depth operations experience, so she requested a move and took on P&L responsibility for half of Ghana – achieving double-digit growth. Then, after two years, she was offered the role of CMO in the Democratic Republic of Congo. Her wish is that more of those young people will find their way to INSEAD one day – and she’s working with other alumni in Africa to raise awareness. “But the school has to see the market opportunity and segment its approach too,” she warns. “Otherwise young Africans with money will end up in US MBA programmes.” As she says, in a few years’ time not playing in Africa is going to hurt whatever sector you’re in, including business education. That’s awesome. Keep leading and inspiring Madam!